Garden Apartments: Type A ) 2 people - 40 square meters about . Apartment with 1 room at groundfloor divided by low partition in zone day / zone night with king-size bed ( 2 adults ) .Bathroom with shower .Kitchen corner equipped.Terrace equipped.Outside big common porch , WiFi free , ping pong , badminton , swing and slide for the most little , a barbecue , private park car , sun heated shared swimming pool , common laundry . Fantastic location ...easy access , quite , clean , comfortable , large garden and wonderfull landscape ...what else ?! Fantastic place , quite , clean , comfortable , easy , incredible landscape . What else ! Our stay at Agriturismo Renzano was a great success, helped by beautiful weather which just makes the place almost magical. The views of Salo, Lake Garda and the scenic hills behind Salo is fantastic. The garden and pool area are meticulously kept,and the fact that it is gated and discreetly fenced makes you feel very safe and secluded. It is ideal for all ages. The apartments are clean, adequately equipped and the small terraces outside each affords you some privacy should you so wish. Camillo, the host is very friendly and helpful and can always point you in the right direction for anything you need. Salo and all the towns on the western shores of lake Garda are beautiful the landscape behind is often dramatic and has amazing windy roads with hairpins and beautiful small hamlets with some fantastic places to eat, drink and shop for local produce. renting a speedboat for a couple of hours on the Lake itself is also highly recommended. Thank you Alex , i will be happy to have you and family here again . Your apartment waiting you !! Ciao Camillo . We had one week in April in a Renzano apartment: This was a very beautful holiday! The view, the space, the garden - outstanding! The apartments are commodious, very well equipped, and the owners are very friendly, they help where they can! The beautiful spot Salo is very close (10 min. walking). TheResort is a good starting point for jogging and mountain sprints. We were very satisfied and will choose this resort again, when we come to this area again! Lovely, clean apartment. No oven or kettle but ample faclilities for cooking small meals. Beautiful views of Salo and Lake Garda and well placed for visiting other areas. Tricky roads to negotiate if walking to the town. 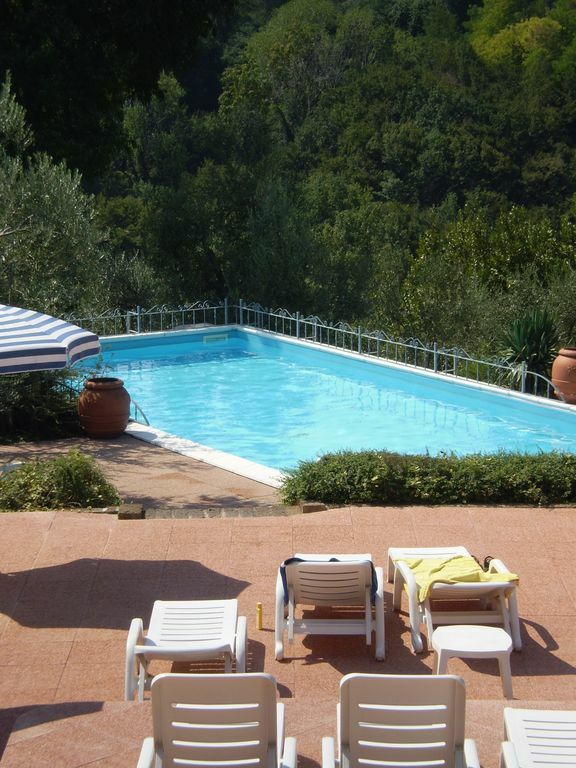 Wonderful grounds and pool and the owner was extremely helpful and easy to approach. Room was clean and as described in advert. Beware if using SatNav from UK, as map will try and send you up a road beside apartments, which as now been closed off, and is actually now a gated driveway. Is hilly around Salo, so beware when driving. Views from apartment is straight onto Salo and Lake Garda - beautiful. Apartments very much in keeping with local surroundings, and amenities are sufficient for a week self catering - there is a hob, but no oven or grill, although there is a communal bbq. Pool is lovely, but quite small if any large families are staying. Only negative point was lack of air conditioning - we ended up buying a fan so we could sleep. All in all, would definitely return - Very family friendly. We arranged our own itinerary, so apart from lunch or dinner in Salo (go to Lunolago 64 for amazing wood fired pizza - in the harbour), we did not spend a lot of time in Salo. the property owner will tell you all about local amenities, and can answer any questions you may have. THE RATES ARE REFERRED TO APARTMENTS TYPE A FOR '" TWO PEOPLE " . Required Deposit of 150 eur cash only to be given at check-in and returned at check out. No breakfast / restaurant service. No smoking apartment . Self catering apartment. Pets not allowed .